SEOUL, Feb. 27 (Yonhap) -- Former Prime Minister Hwang Kyo-ahn was elected new chief of the main opposition Liberty Korea Party (LKP) Wednesday with pledges to resolve deepened factional divides and mount a tougher challenge to the liberal Moon Jae-in government. 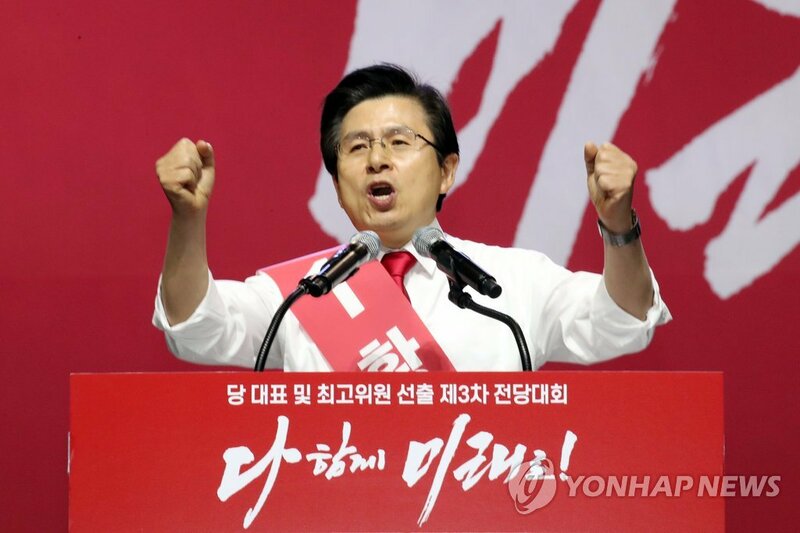 Hwang, 62, scored a landslide victory over his two rivals -- former Seoul mayor Oh Se-hoon and far-right lawmaker Kim Jin-tae -- at the party's national convention. 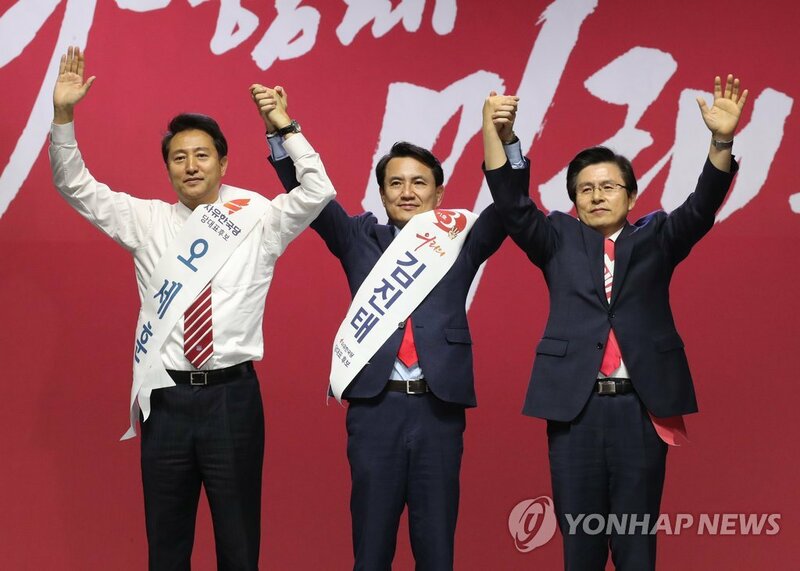 The party's traditional mainstream appears to be seeking a stable, powerful leadership to tackle the incumbent liberal government and an increasingly fierce ultrarightist movement within the party led by loyalists to former President Park Geun-hye. Hwang will face the task of restore the unity and popularity of the party still tattered by the lingering fallout from the Park scandal, experts said. The election demonstrated deepening factional divides among pro-Park rightists and reform-minded members within the party. each represented by candidates Kim and Oh. The election is seen to fail to arouse public interest as it was overshadowed by the second summit between U.S. President Donald Trump and North Korean leader Kim Jong-un in Hanoi.